The Nigerian authorities recently postponed elections that had been scheduled for February, ostensibly to give them more time to fight Boko Haram, the militant Islamic extremist group with ties to the Islamic State and Al Qaeda. The delay heightens the already intense levels of fear and instability in the country. Of particular concern is the safety of Nigeria’s women and girls, who are increasingly becoming targets—and tools—of violence. Boko Haram has lately increased its attacks. In a brutal and deadly massacre on January 12, terrorists invaded the town of Baga, launching grenades, pursuing residents on motorcycles before shooting them down, and burning people in their homes. Many of the estimated 2,000 victims in Baga were women, children and the elderly who “could not run fast enough” from the assailants. Some survivors report that Boko Haram fighters have raped the women who remain in Baga. Boko Haram’s attacks will certainly affect Nigerians’ ability to vote. The violence has displaced about 1.5 million people, many of whom will not be able to vote. In large parts of the country’s northeast, violence by Boko Haram may impede polling. Beyond Boko Haram, the election could bring additional acts of violence. The previous election, in 2011, resulted in unprecedented violence, with more than 800 people killed as longstanding ethnic and religious tensions came to a head. Activists say that whatever the outcome of the election, the government must place a greater emphasis on the security of women and girls. Although last year’s #BringBackOurGirls social media campaign calling for the release of the 273 schoolgirls that militants kidnapped from the classroom briefly shone a spotlight on the issue, most of the schoolgirls are still being held in captivity. And many Nigerians feel the government has not done enough to rescue them. 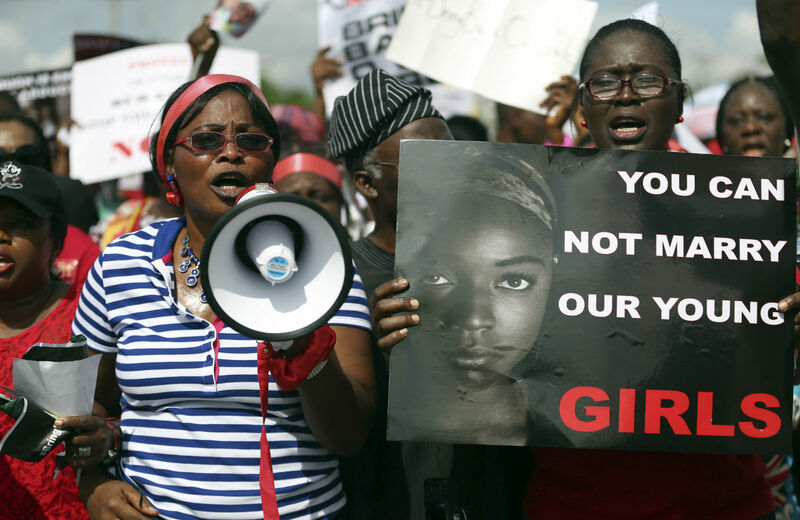 In Nigeria, as in many countries, women’s rights groups provide an early-warning system for systematic violations of women’s and girls’ human rights. “Women’s groups in Nigeria were reporting on increased kidnappings and the need to invest more in safety and security for women and girls more than a year before kidnapping of the schoolgirls in Chibok,” says Jane Sloane, Global Fund for Women’s vice president of programs. Krista Walton PotterKrista Walton Potter, the digital communications and editorial manager for the Global Fund for Women, is a guest columnist for Foreign Policy In Focus. Anna TenutaAnna Tenuta, the communications manager for the Global Fund for Women, is a guest columnist for Foreign Policy In Focus.